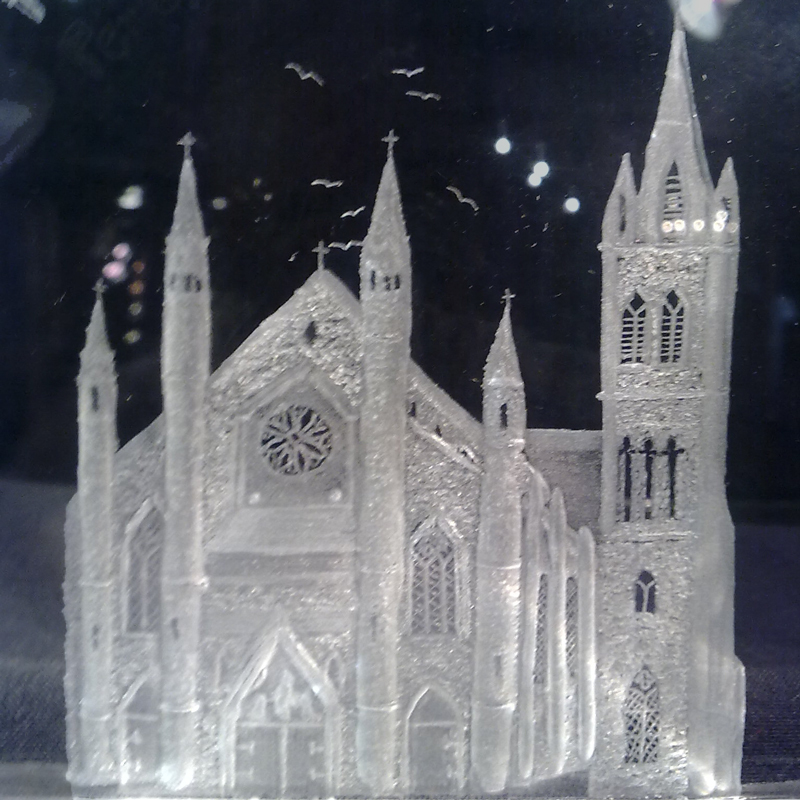 Sean Egan Art Glass was set up in April 2009 by, Sean Egan, a Master Engraver with Waterford Crystal for 35 years. 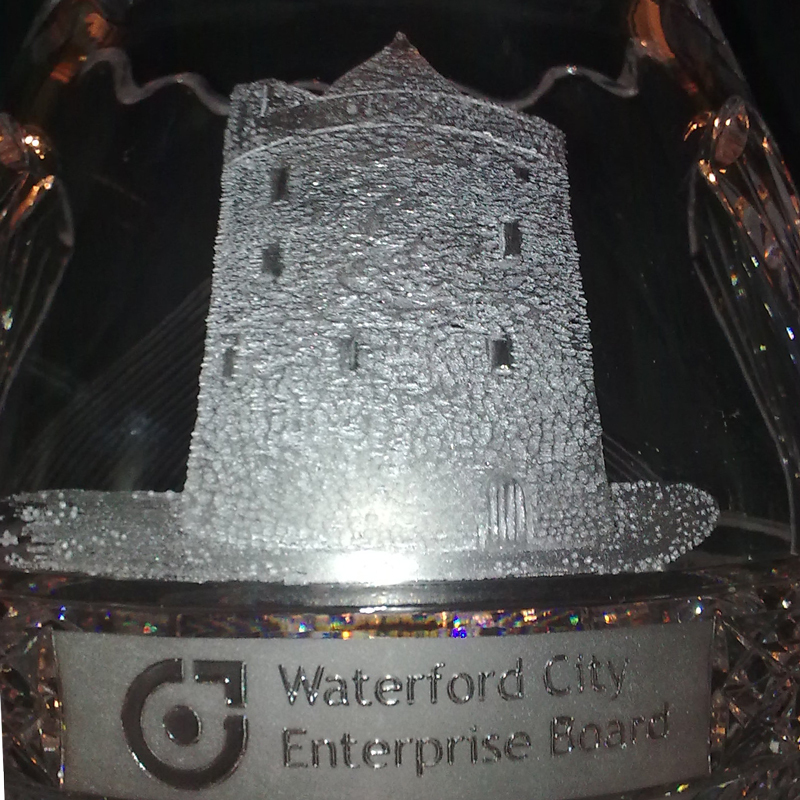 When Waterford Crystal ceased manufacturing in Waterford City in January 2009, Sean opened his own business, as a freelance crystal engraver, and his studio is based in the award winning Medieval Museum in the heart of the Viking Triangle in Waterford City. 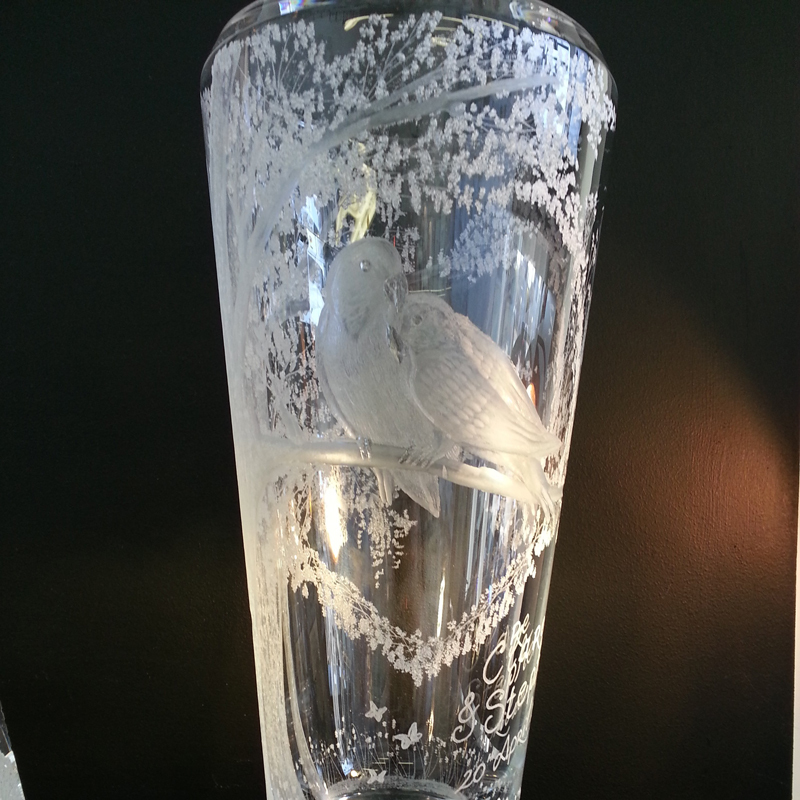 All my artwork is hand engraved; no two pieces are exactly the same. 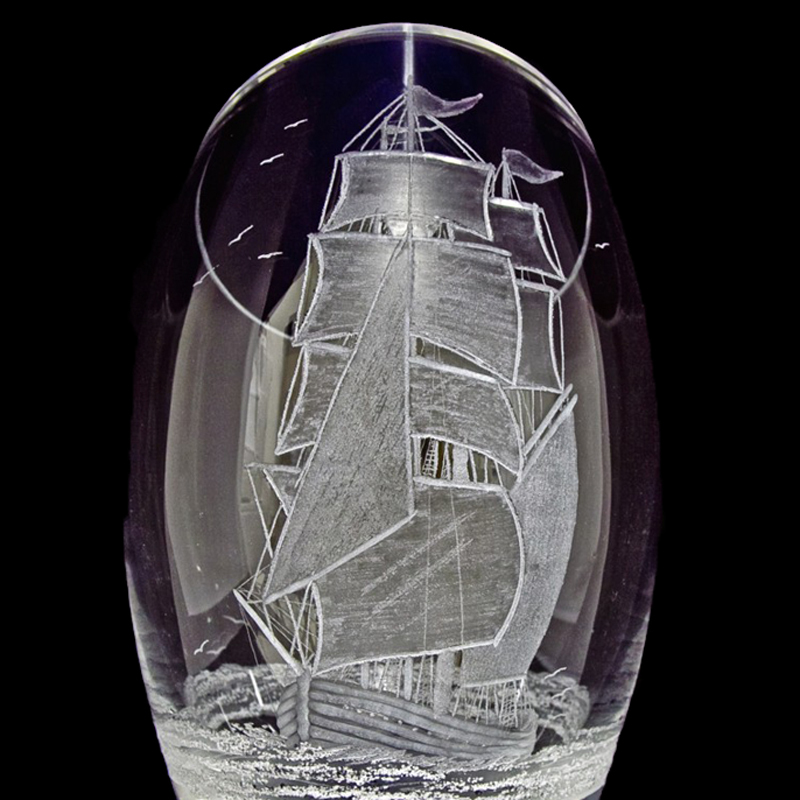 Sean Egan Art Glass has a unique selection of crystal items for sale ranging from smaller items such as perfume bottles, tankards and bud vases, to larger vases and bowls. 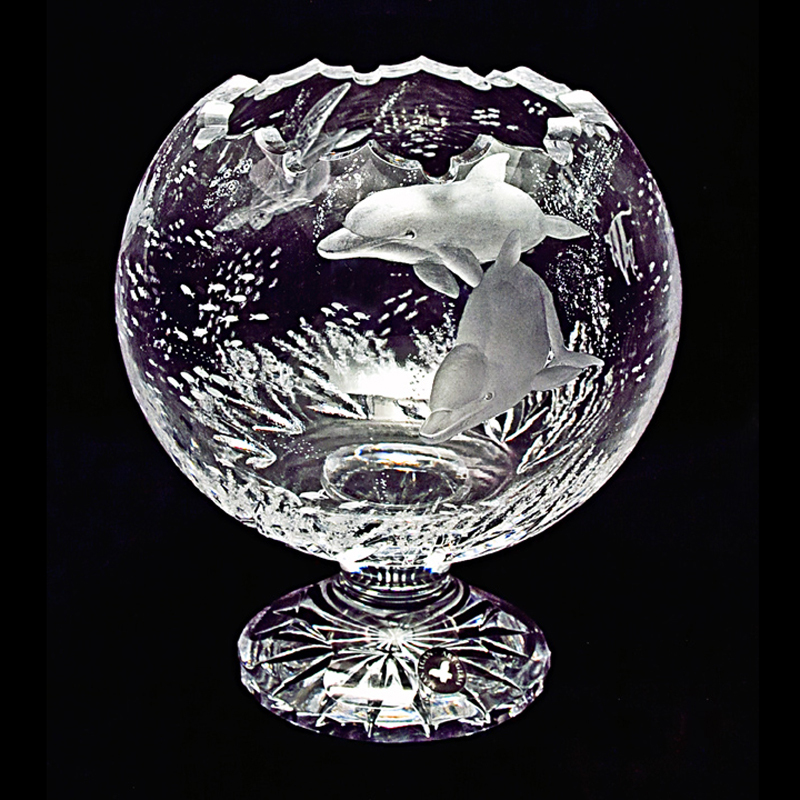 Sean specializes in Awards, Sports Trophies, and Presentation Pieces. All commissions welcome. 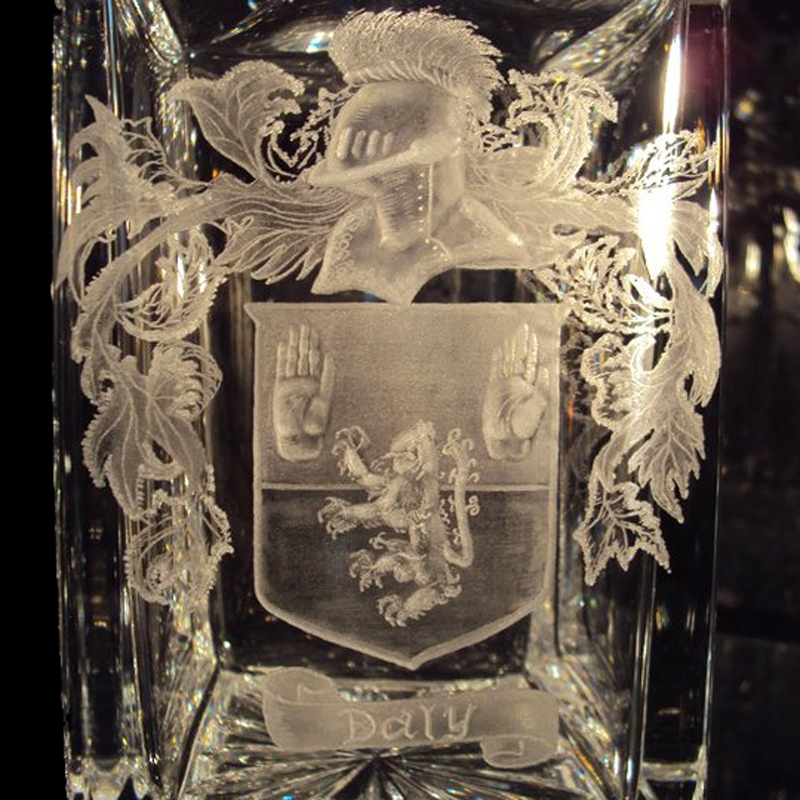 His aim is to keep the age old skill of copper wheel engraving on crystal alive in Waterford and Ireland. 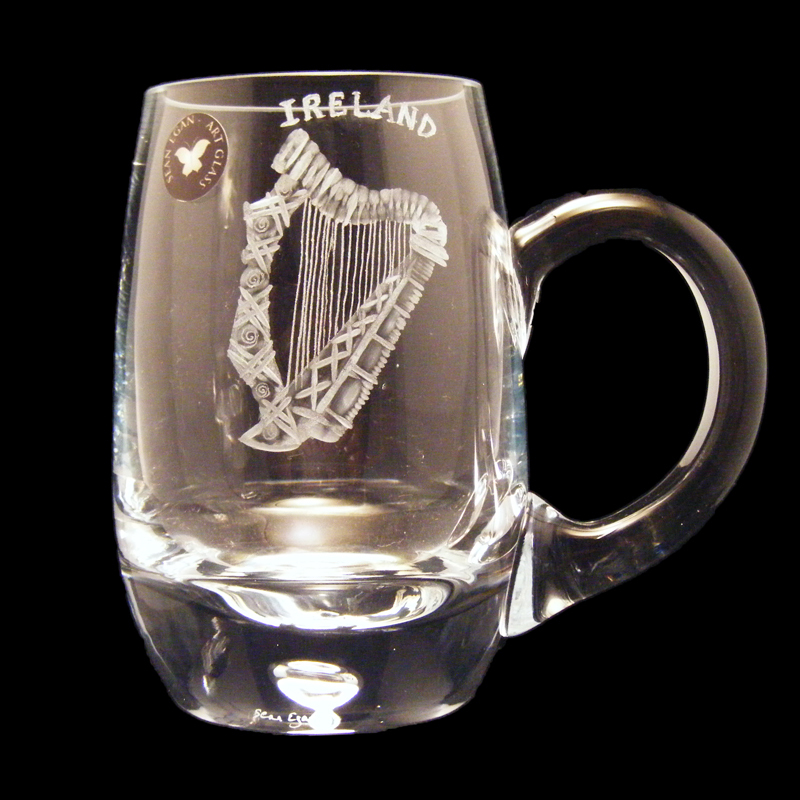 An age old craft which has been practiced in Waterford for many decades, Sean was passionate that the skill would not be left to die. Using tiny copper wheels, Sean engraves his designs on blank crystal. 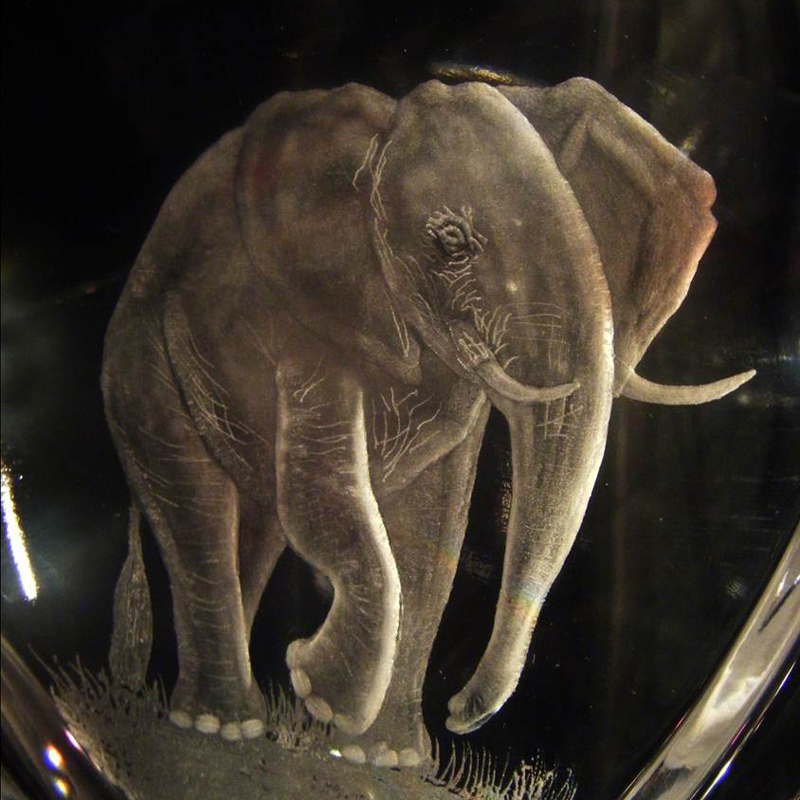 Engraving on glass is like an optical illusion, like leaving a foot print in the sand and crystal, with its brilliant light and subtle shadows, is the perfect medium for the elegant beauty of engraving. It has a unique 3d effect on glass. 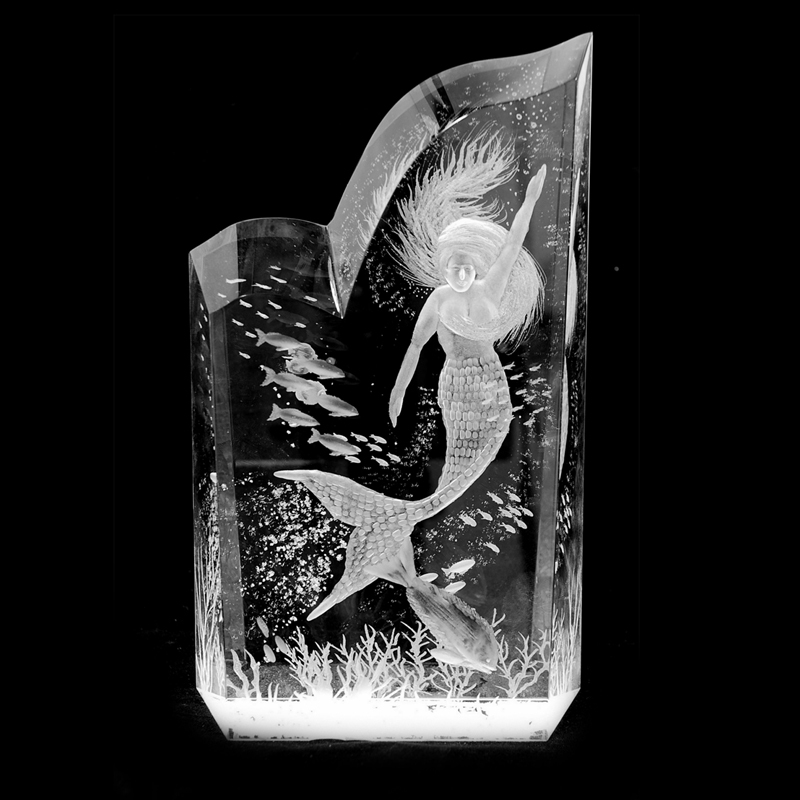 Each touch on the wheel brings to life an image that seems frozen within the crystal. Each touch gives life and expression to the inspired subject. 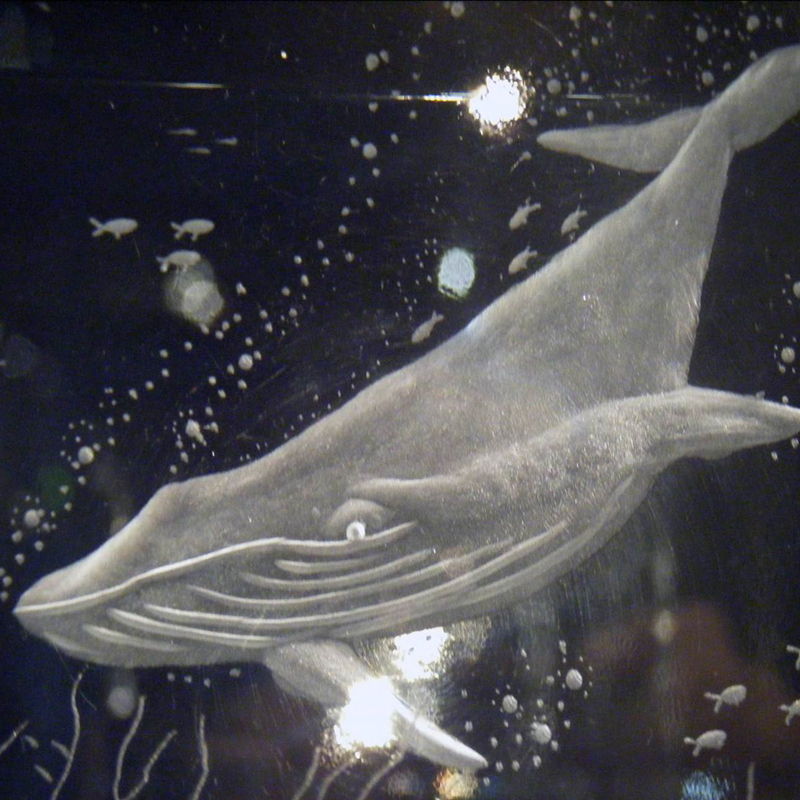 “I can depict anything on glass. I work closely with my clients and won’t begin to engrave until I am happy that I understand exactly what my clients want, and put everything into achieving perfection for them”.